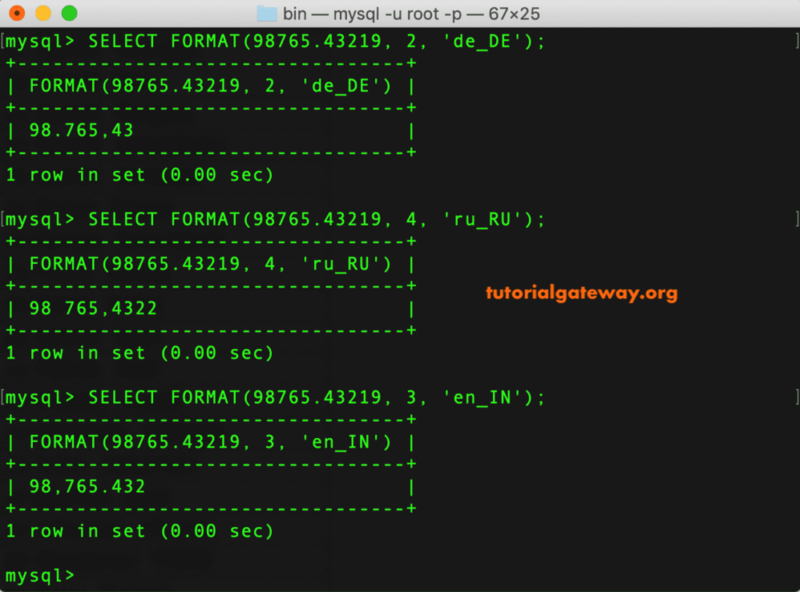 The MySQL Format function is one of the String Function, which is used to round the decimal values or format numbers as per the country, locale and returns that number as a string value. 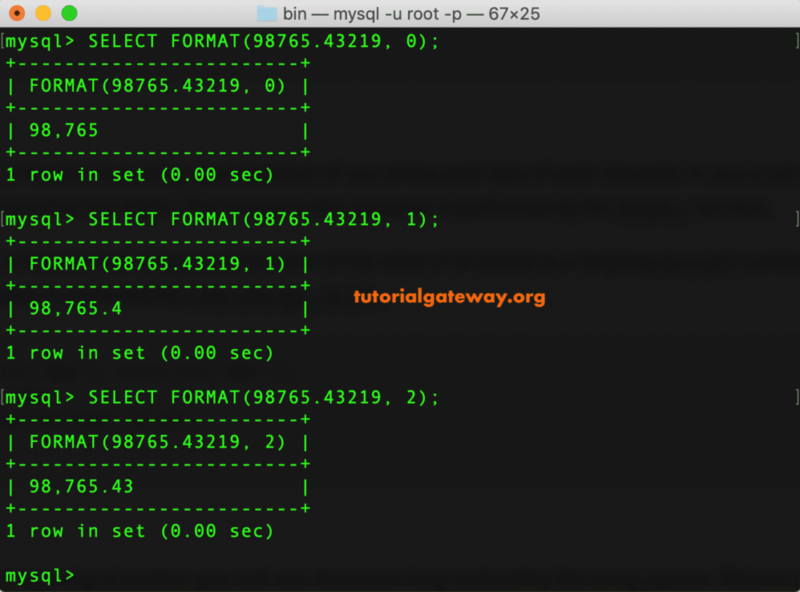 In this article, we will show you, How to write a String Format in MySQL to format numbers with an example. The basic syntax of the Format Number in MySQL is as shown below. 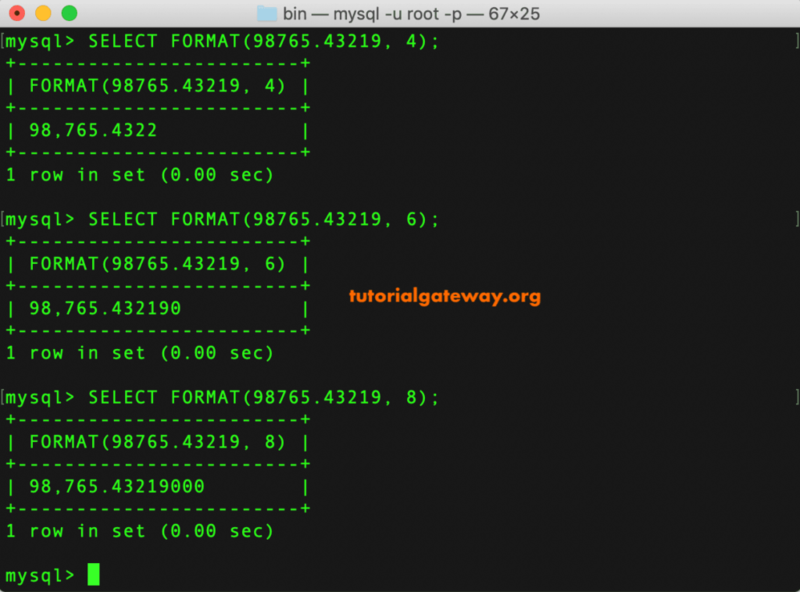 The following query will show multiple ways to use this MySQL Number format function. Here, we used only two arguments. First, We used 0 means, it removes all the decimals. Next, 1 means, it will keep one decimal value. Remember, by default it uses en_US as the locale. In this example, we are using more number of decimal values. So, to fill the gap this function adds extra zeros to the values. Here, we used the locale argument to change or format the numbers. 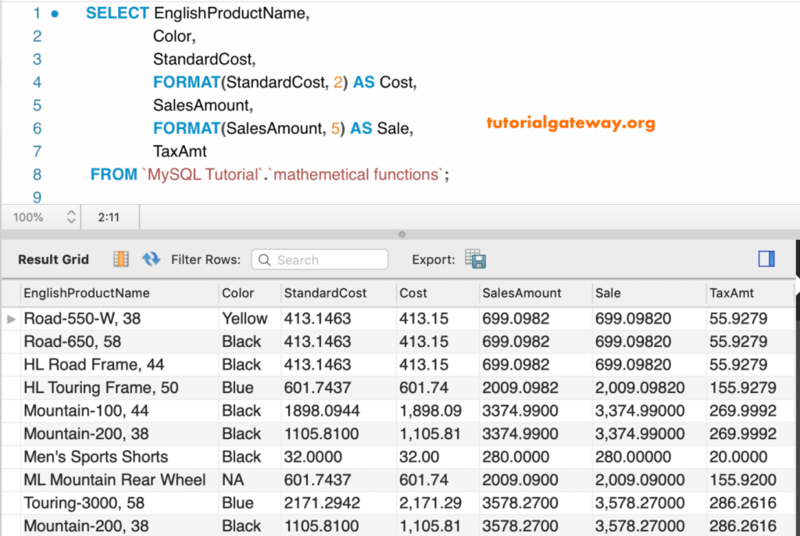 The MySQL Number format also allows you to format or round the decimal values of a column data.